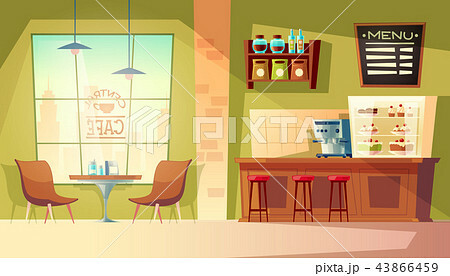 Vector cartoon cafe with window - cozy interior with coffee machine, table. Wooden furniture for cafeteria interior, chair and blackboard for memu. Background with fridge, bakery, pastry, cake.